If you’re like many other insurance or financial advisors, you’re well aware of the fact that famous brand names such as Paine Webber, Blockbuster, Arthur Andersen, Toys-R-Us, Borders, TWA and MCI WorldCom no longer exist. And while we may scratch our heads in disbelief, there’s a reason why 88 percent of the companies that were on the Fortune 500 list in 1955 are no longer around. Why? Because they failed to innovate. As shocking as it may seem, many successful businesses have blindly gone by the wayside due to unforeseen competitive forces and inability to reinvent themselves as market forces silently ate their lunch. Phrases like “product innovation”, “continuous improvement”, and “lifelong learning”, may seem like meaningless corporate jargon or fancy buzzwords that don’t apply to those in the financial services industry. But the fact is, they really do. This article explains how insurance and financial practitioners can learn valuable lessons from the business failures of the past, and illustrates how life settlements can be an effective tool in broadening an advisor’s revenue base while at the same time offering a valuable service to clients. Why should financial advisors care about innovation? Because in today’s accelerated world and rapid pace of change, it’s essential to their survival. The solution may not be as complicated as it may sound. For some professional advisors, innovation can be as simple as adding a new product or area of expertise to their client services menu. What are the advantages of adding life settlements to your practice? The secondary market for life insurance has grown steadily in the aftermath of the 2008 financial crisis primarily because it monetizes a static asset and provides policy sellers with a substantial amount of cash they would not normally have. According to data released in June 2018 by The Deal publishing company, transactions grew by 19 percent in 2017 and the market is projected to continue its upward trend. The amount paid to insureds selling their policies increased to $612.82 million in 2017 from $488 million in 2016. Enhancing your practice model by adding new expertise, such as life settlements, can provide existing clients additional value and help attract new clients. 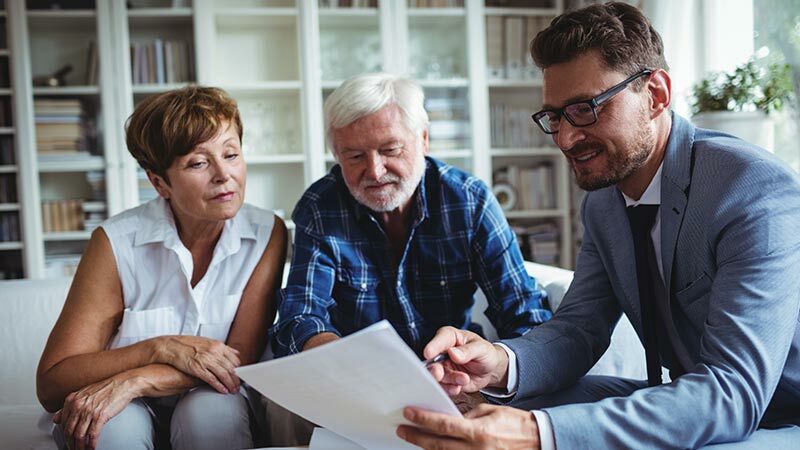 By being proactive and establishing yourself as the trusted resource for seniors seeking to sell their unwanted policies for the maximum amount possible, you can position your firm for future growth and distinguish yourself from competitors. Non-Insurance Licensed Professional: This approach involves advising clients about the life settlement option and working with a life settlement broker to obtain the highest offer. The advisor receives no commission but has provided valuable expertise to clients who may have been planning to let the policy lapse. This is the approach taken by many estate attorneys and CPAs. Insurance Licensed Professional: This approach involves advising clients about the life settlement option, working with a life settlement broker to obtain the highest offer, and receiving a commission on the settlement. Most life-licensed insurance advisors use this approach. In short, representing your clients in life settlement transactions and receiving a commission will require obtaining the proper licensing in your state. Obviously this means investing a few hours of your time taking a course in insurance and doing research on the secondary market for life insurance. As one of the nation’s leading life settlement brokers, Asset Life Settlements welcomes the opportunity to assist advisors who are new to transacting life settlements. In addition to the educational content on our website, we also offer phone consultations at no charge with any advisor who needs guidance in how best to represent their client in a life settlement transaction. Our goal is to make sure your client obtains the highest possible offer. If you have questions about insurance licensing and how to get started in adding life settlements to your practice, we’re here to help. Or, if you are already handling life settlement transactions and have questions about a potential case, call us at 1-855-768-9085 for an immediate pricing analysis, or complete our online pre-qualification form.